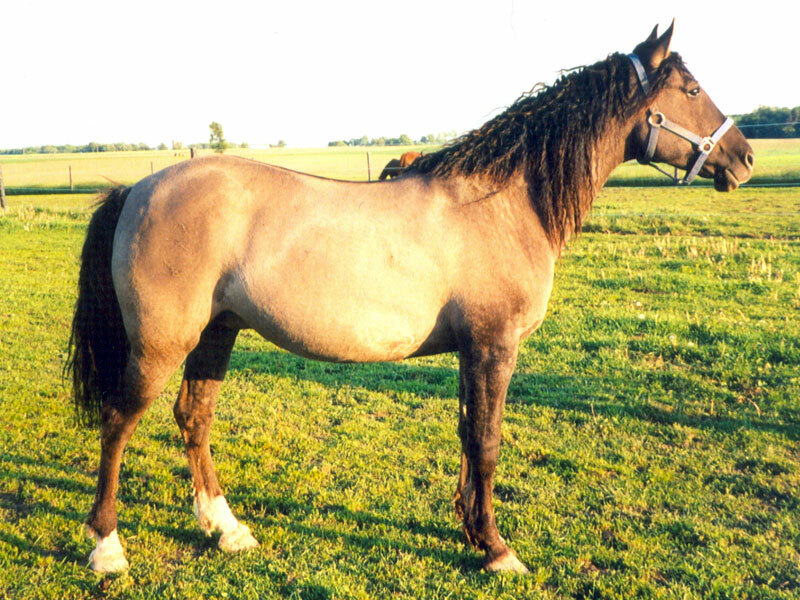 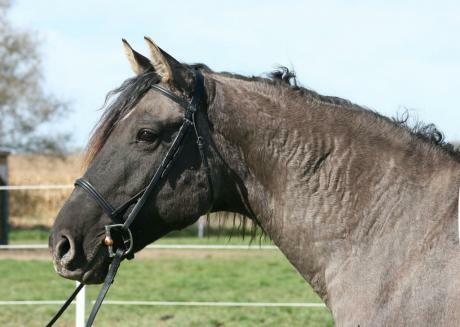 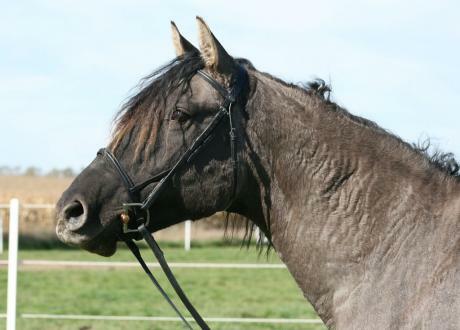 This grulla mare keeps her beautiful mane and tail year round. 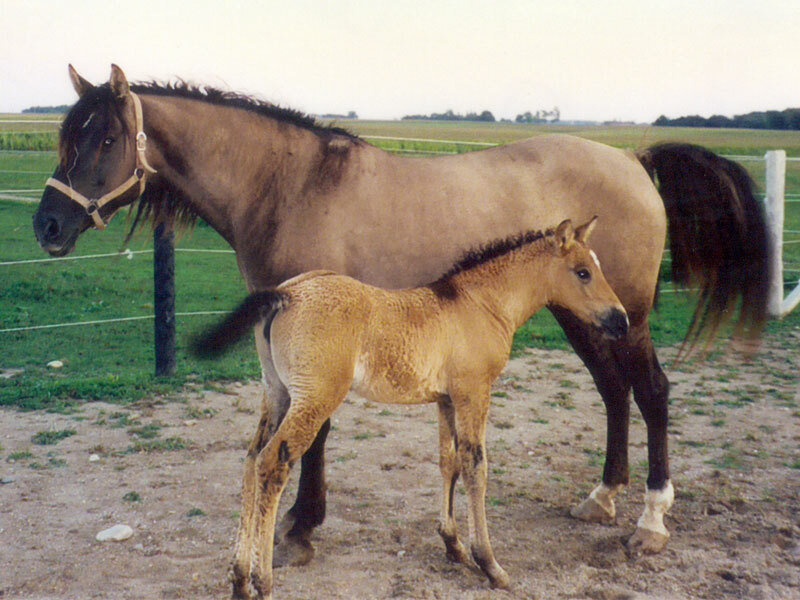 She passes her beauty and presence unto her foals. 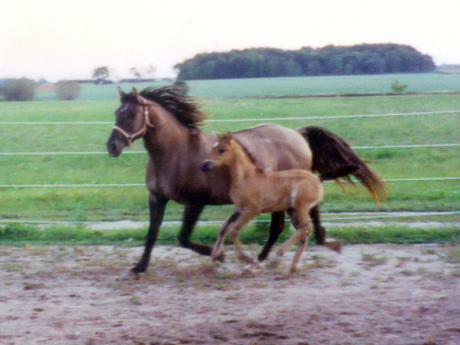 Her movement is pretty with good knee and hock action. She is a gentle, willing horse with lots of spirit. 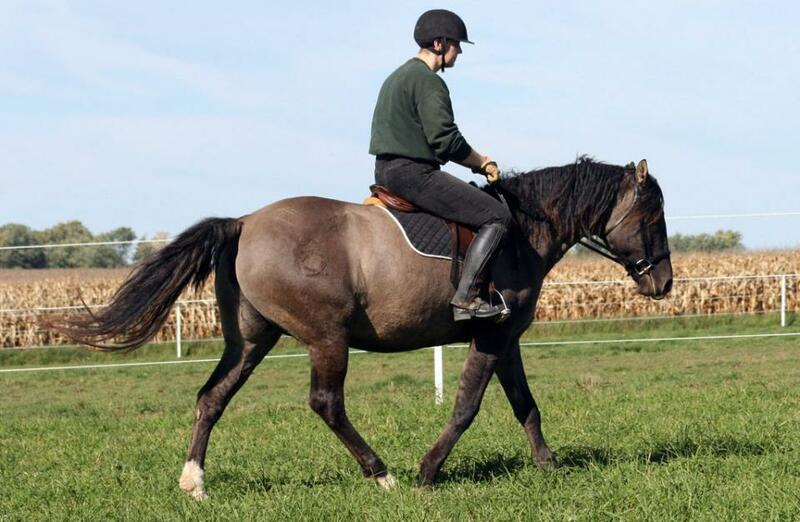 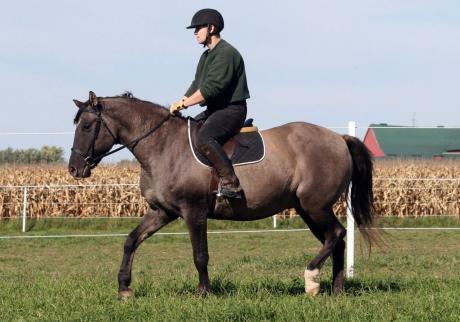 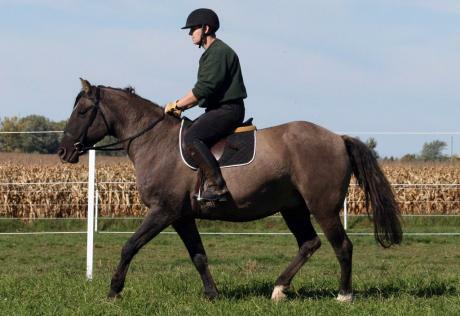 I think Schimm'l would have made a nice dressage horse, but at her age she will stay here as my trail riding mare. She is 14.3 hands.